Phil Langford is Trustee of the Ray C. Anderson Foundation, a Georgia-based private family foundation honoring the legacy of the late Ray C. Anderson (1934-2011), founder and chairman of Interface, Inc., the world’s largest modular carpet manufacturer, and a global leader in sustainability. Phil is also a Trustee of The Ray, a nonprofit initiative of the Ray C. Anderson Foundation. Phil completed a 30+ year career in commercial construction and development, retiring as president of Langford Construction Company in 2012. Langford’s firm worked on a number of renovations and new building projects for sustainable, high-performance buildings in West Georgia including: the Ray C. Anderson Manufacturing Facility in West Point, GA; David Oakey’s Pond Studio in LaGrange, GA; the LEED® Certified Columbus Recycling and Sustainability Center in Columbus, GA and the LEED® Certified Cecil B. Day Butterfly Center at Callaway Gardens in Pine Mountain, GA.
Langford has a long history of community involvement in LaGrange, Georgia. 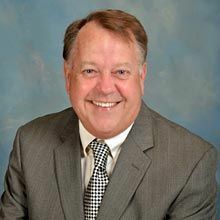 He is a past member of the LaGrange Academy Board of Directors, where he served as Vice President, and as a member of the Development Committee. Phil has served on Stran Steel’s President’s Council and he is a founder and past president of the West Georgia Boys and Girls Club, and he is a recipient of the Boys and Girls Club Medallion Award. He has served on the LaGrange-Troup County Board of Directors, and he was also a member participant in Leadership Troup. He has also served on the Highland Country Club Board of Directors and he was a volunteer softball coach for 18 years while his daughters were growing up in LaGrange. A native of LaGrange, Georgia, Phil attended Auburn University. He resides in LaGrange, Georgia with his wife, Harriet. They have two daughters, Melissa Heflin and McCall Langford, a granddaughter, Bailey Heflin, and two grandsons, Brooks and Banks Heflin. When Phil is not working on Foundation projects, he enjoys playing with his grandchildren, reading, golf and fishing.